In interacting with humans, robots must first and foremost be safe. If a household robot, for example, encounters a human, it should not continue its movements regardless, but rather give way in case of doubt. Researchers at the Max Planck Institute for Intelligent Systems in Stuttgart are now presenting a motion system - a so-called elastic actuator - that is compliant and can be integrated in robots thanks to its space-saving design. The actuator works with hyperelastic membranes that surround air-filled chambers. 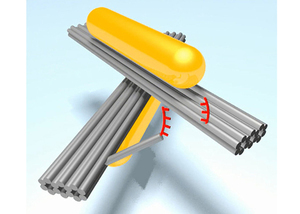 The volume of the chambers can be controlled by means of an electric field at the membrane. To date, elastic actuators that exert a force by stretching air-filled chambers have always required connection to pumps and compressors to work. A soft actuator such as the one developed by the Stuttgart-based team means that such bulky payloads or tethers may now be superfluous. 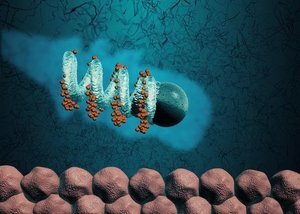 Nanomachines could take over a variety of tasks in future. Some day they may be able to perform medical precision work in the human body or help analyze pathogens and pollutants in mobile laboratories. 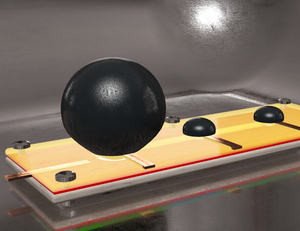 Scientists at the Max Planck Institute for Intelligent Systems in Stuttgart have now presented a possible component which could be used to specifically move and control such a machine. They have developed a nanoplasmonic system in the form of a pair of scissors that they can open using UV light. As soon as they irradiate the nanostructure with visible instead of UV light, it closes again. The researchers can observe the structural changes with the aid of gold particles which they excite with the light. 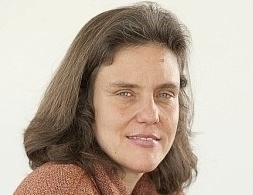 Cordelia Schmid, an Inria research director, has received the Humboldt Research Award for her work on computer vision spanning more than 20 years. She was nominated for this scientific award by Michael Black, the director of the Perceiving Systems department at the Max Planck Institute for Intelligent Systems in Tübingen, Germany. As the director of the LEAR team and then the Thoth team since 1 January 2016, Cordelia Schmid is particularly interested in visual recognition linking invariant image descriptors with learning methods. 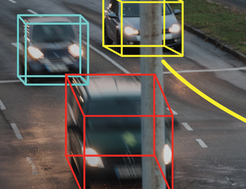 Her research enables a computer to learn not only to interpret all types of real images and videos, but also to recognize objects, actions and places by learning large image and video bases containing more than 100 million images. Cordelia Schmid figures among the world’s precursors and leaders in the field of modern visual recognition methods; she is also named in the “Highly Cited Researchers 2015” list (source: Thomson Reuters). Researchers reveal that micromotors can be guided using tiny topographical patterns on the surfaces over which they swim. Researchers at the Max Planck Institute for Intelligent Systems, the Institute for Bioengineering of Catalonia (IBEC) and the University of Stuttgart have revealed in an article in Nature Communications that micromotors can be guided using tiny topographical patterns on the surfaces over which they swim. recognizing "his contributions to the theory of, and experiments in, robot locomotion and manipulation". Als Haushaltshilfe, Pflegeassistent oder Katastrophenschützer taugen Roboter nur, wenn sie lernfähig sind und zumindest ansatzweise selbstständig handeln können. 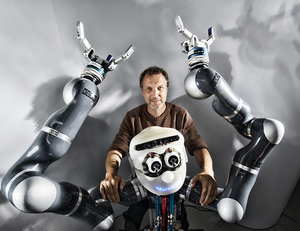 Stefan Schaal und die Mitarbeiter seiner Abteilung am Max-Planck-Institut für Intelligente Systeme in Tübingen bringen den Maschinen diese Flexibilität und Autonomie bei. Einen Wagen mit Chauffeur könnte es irgendwann für jeden geben, wenn nämlich ein Roboter das Steuer übernimmt. Damit Autos auch ohne großen technischen Aufwand autonom fahren können, müssen Computer unübersichtliche Verkehrssituation jedoch mindestens genauso gut beurteilen wie der Mensch. The 2015 PAMI Mark Everingham Prize was awarded to the Middlebury Dataset (Daniel Scharstein, Richard Szeliski, and team) for a series of datasets and on-line evaluations, starting with the Stereo datasets in 2001, and extending to Optical Flow, MRF and others, which have inspired many other datasets. 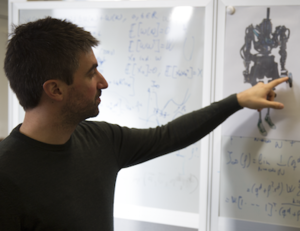 Michael Black was part of the team behind the Optical Flow dataset and evaluation. for Ruth Urner at the NIPS 2015 Workshop on "Transfer and Multitask Learning: Trends and New Perspectives". Helicobacter pylori macht es vor. Das im menschlichen Magen häufig vorkommende Bakterium versteht es, sich auch durch die zähe Magenschleimhaut hindurchzubewegen. Zu diesem Zweck scheidet es Substanzen aus, die den pH-Wert ihrer Umgebung verändern und damit den gelartigen Schleim verflüssigen. Forscher des Max-Planck-Instituts für Intelligente Systeme in Stuttgart haben dieses Prinzip aufgegriffen und nach ihm ein künstliches Mikrovehikel geschaffen, das ebenfalls viskose Schleimhäute durchdringen kann. Die Forscher verbinden damit eine konkrete Hoffnung: Eines Tages könnten solche Schwimmer vielleicht pharmazeutische Wirkstoffe direkt an die Magenwand transportieren – und dort für eine effektive Aufnahme in die Blutbahn sorgen.